Home Education online college online courses Online Degree online universities zblog How will the internet continue to revolutionize the learning process? How will the internet continue to revolutionize the learning process? The internet has had a seismic impact on how the learning process works at every level. As additional options become available through initiatives like Moocs (massive open online courses), both current and prospective learners are becoming increasingly engaged with online education. The options over the coming years look set to diversify in terms of credentials, courses and program design. How much Online Learning popular? Easier and better access to more subjects: Students today have instant access to almost any subject in any language, and there are free Moocs that offer learners everything from fine arts to heavy engineering. This trend can only continue. Increased personalization: In the recent past, learning online was considered to be rather impersonal and lacking in the qualities associated with traditional face-to-face teaching. However, this is all changing rapidly. Interactive technologies continue to evolve and online learning will continue to become a lot more personal, with learners being able to navigate courses via multiple pathways to fit their particular learning speeds and requirements. Greater diversification of credentials: As employers come increasingly to accept Moocs qualifications and certifications, the current range of credentials will inevitably diversify. Online learning platforms are indeed already pointed in that direction, and soon it will be commonplace to include Moocs qualifications on a CV, knowing that they will be accepted as valid a proof of knowledge and competence as any other. This and other topics have recently been the focus of the nationwide Intelligence Squared Debate series, which has reached millions of viewers through its diverse multi-platform distribution. Robert Rosenkranz was heavily involvedin its establishment and funding. He is himself a talented photographer with a self-imposed mission to inspire through his work and his business interests. These include insurance and investment concerns. As they increasingly lever more online courses, students will, during the course of their careers, cultivate diverse new skill sets and effectively become continuous learners. A university course may, for example, consist in the first year of learning online, with the two subsequent years on a campus. The student may also enter the mainstream workforce in order to acquire real-life skills in place of the traditional final year and at the same time and thereafter pay an annual subscription to their alma mater to continue with their learning online. The interest in virtual education is higher now than it has ever been, thanks in large part to the success of the Mooc phenomenon. 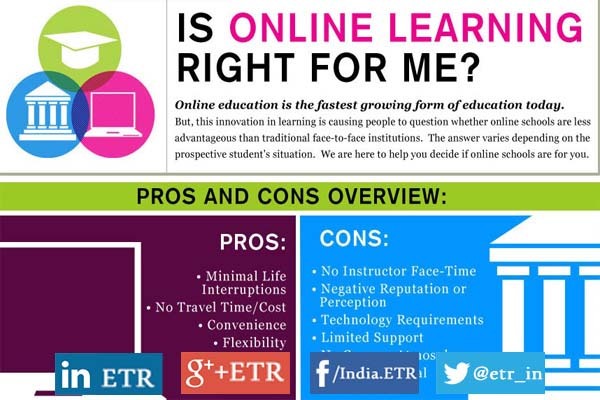 An increasing number of students consider online education to be a viable option when considering their future, and established, highly regarded institutions are using online education offerings such as Moocs to become better acquainted with alternative educational options. In fact, several pioneering universities and elite schools are currently offering degree programs that make a point of treating online learners as equivalent in every way to those they have on campus. The educational experience that these platforms deliver is in every way as quality-rich as the on-campus program, incorporating the exact same classes, faculty and degree at the end of the process.